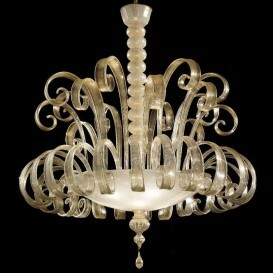 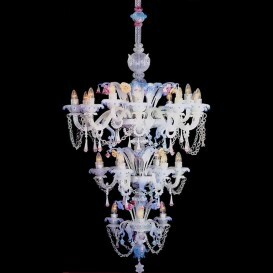 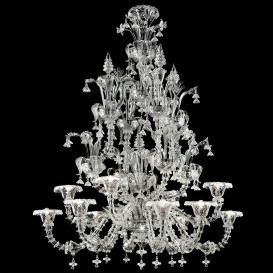 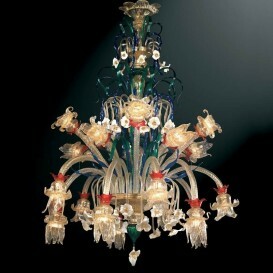 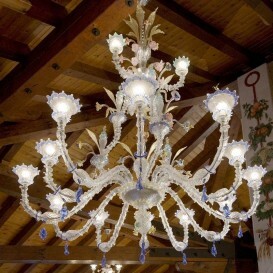 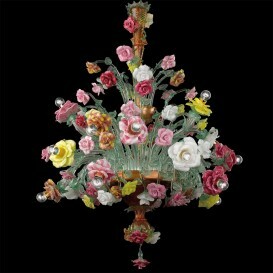 A beautiful masterpiece of the ancient art of glassmaking in Murano. 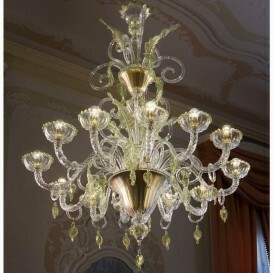 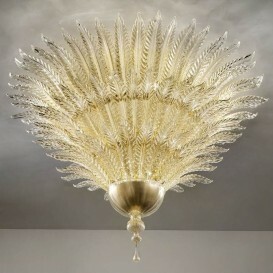 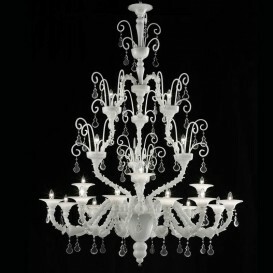 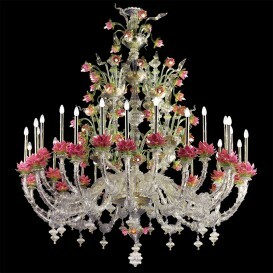 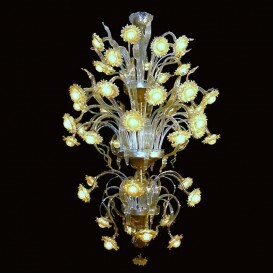 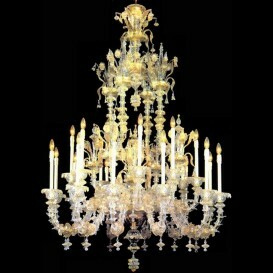 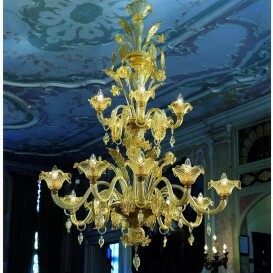 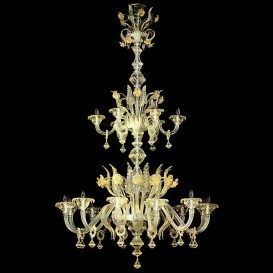 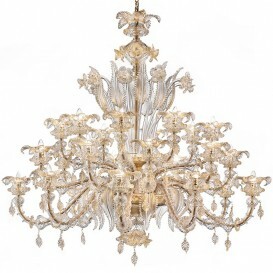 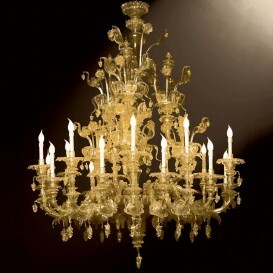 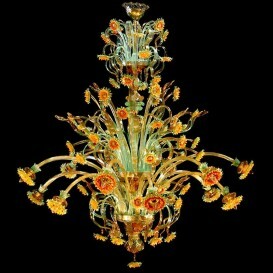 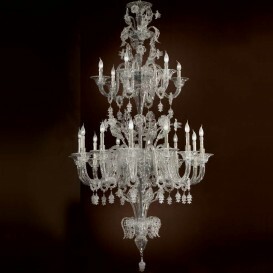 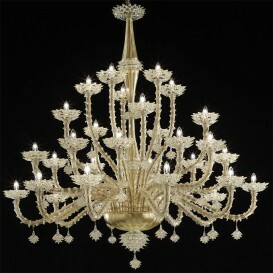 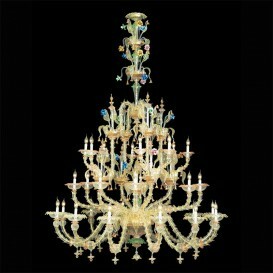 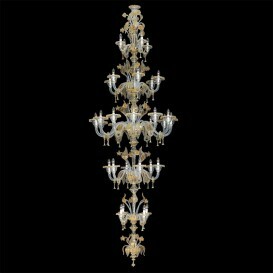 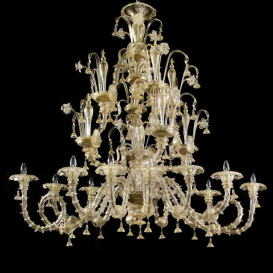 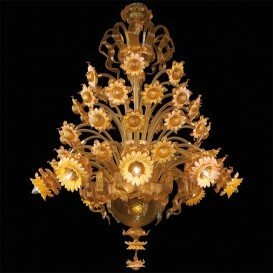 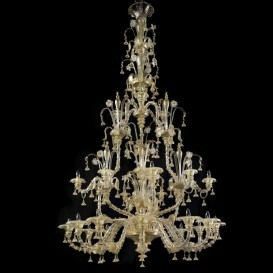 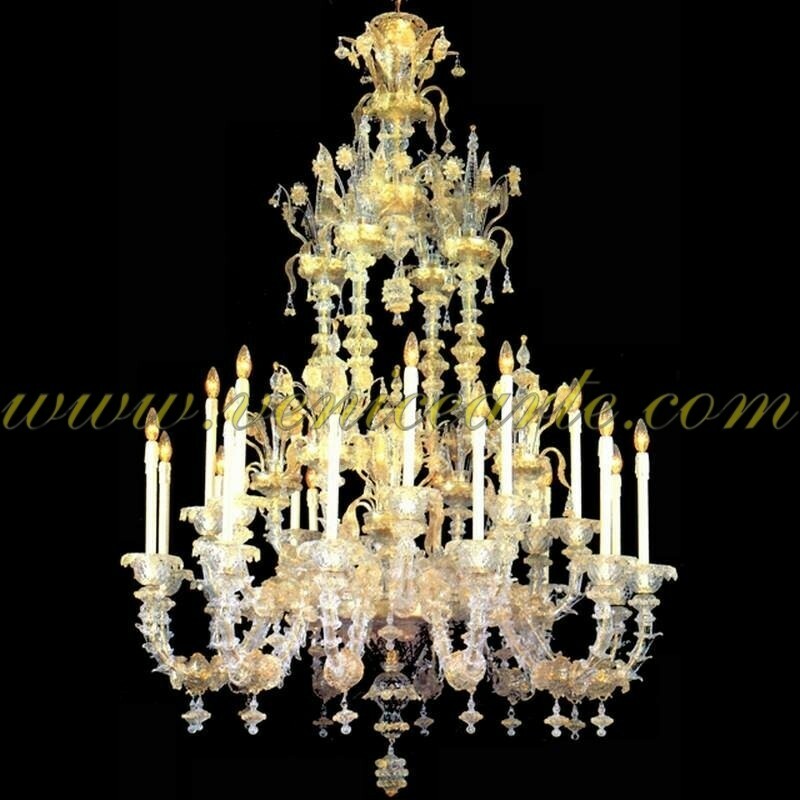 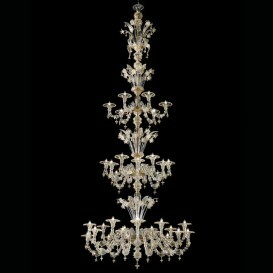 An exceptional Rezzonico chandelier shades transparent and yellow rising from the bottom to the top. Rezzonico name comes from the first of these chandeliers chandelier designed and built with these forms, and especially in the construction of his arms, for the Palazzo Rezzonico on the Canal Grandel. 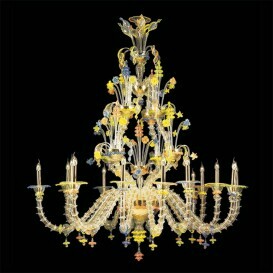 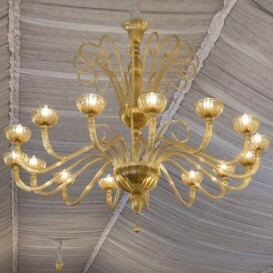 The arms of these chandeliers are a set of small flowers of calla engaged with one another, which wrap around the metal structure.